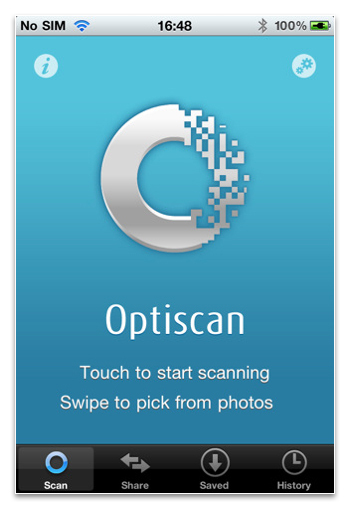 We released the latest update of our QR Code scanner and creator - Optiscan - onto the iTunes store last Thursday (12th). Along with stability improvements in preparation for iOS 4.2, you'll find better decoding for newer devices plus a surprise new look! The new icons and UI tweaks have been brought in to match Optiscan's continually growing success in the field of QR Code scanning. Expect more tweaks and new features to come in future releases as QR Codes take the world by storm in 2011!